A thought hit me yesterday: I have no more false eyelashes and eyelash glue. 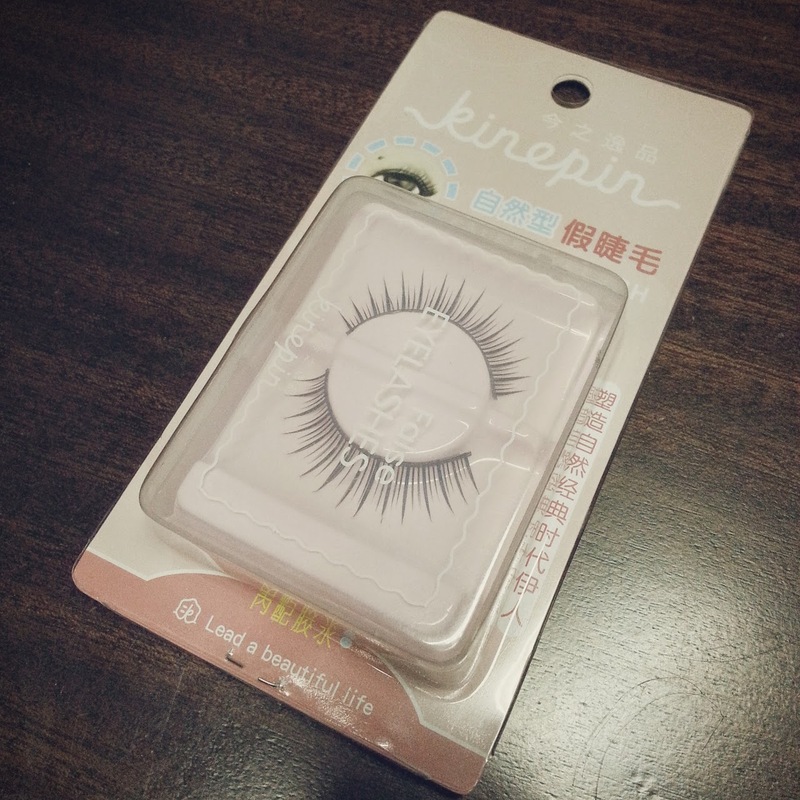 So I went to the mall and got myself a new pair and restocked my eyelash glue. 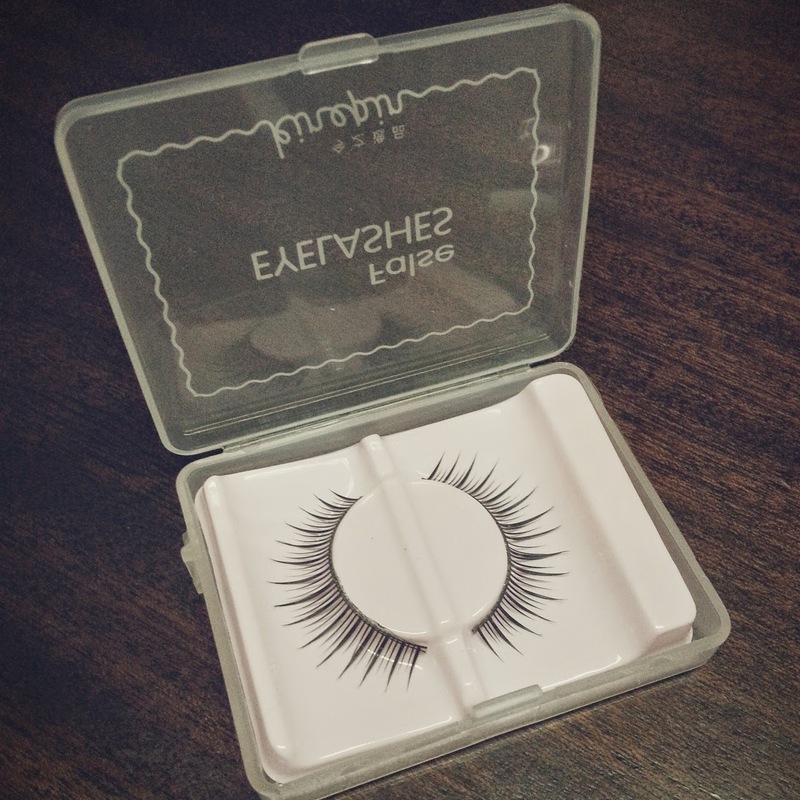 And this post is to give you an idea what type of lashes and eyelash glue I use. Truthfully speaking, I'm not into expensive stuff. For false eyelashes, I usually buy from Daiso the 2 pairs of falsies pack at 88php and if you're lucky, it'll be on sale for around 66php! And they come in different styles so they're really cool. Plus, you can reuse it around 2-5 times, if you're careful when taking it off. 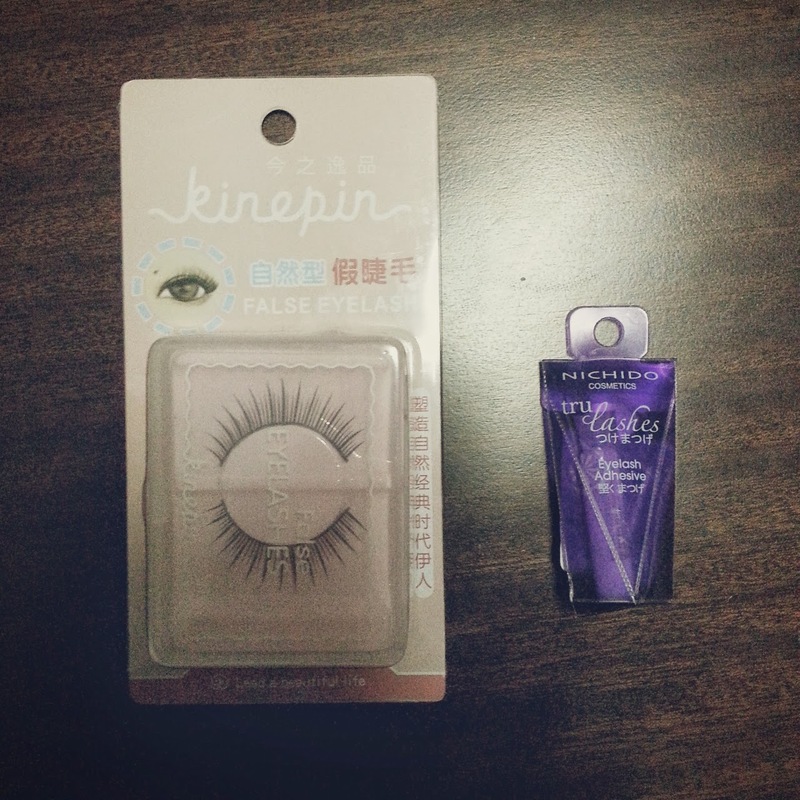 But for this quick shop, I went to Landmark's beauty section and found this pair. I got this pair for 40php which is a really good price because it also has a case! 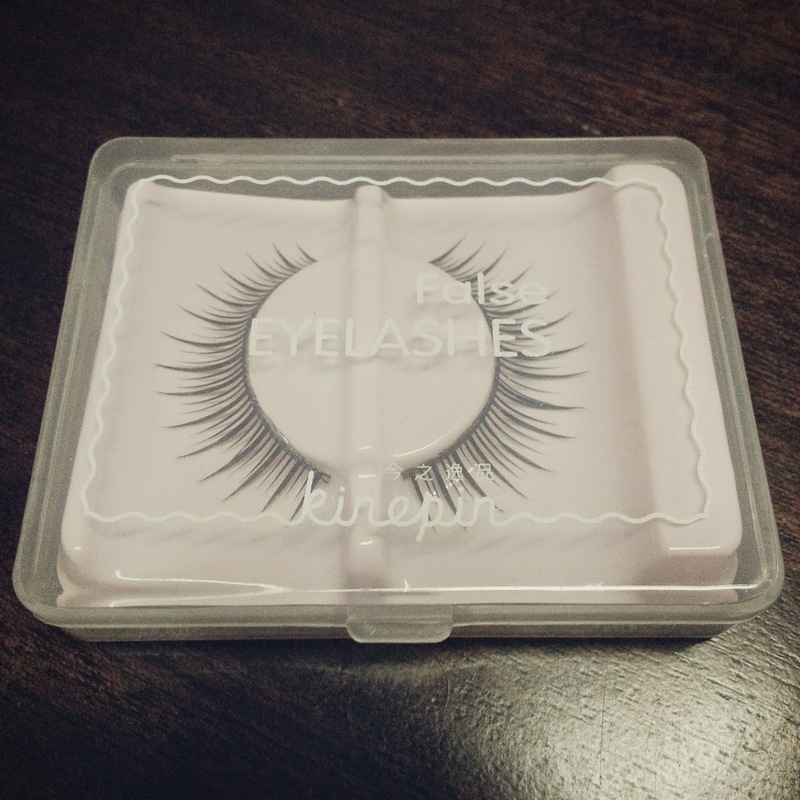 Compared to the other falsies on the rack, I chose this one because it already has a case which you can use if ever you need to carry an emergency pair around. Out of the packaging. Front. Out of the packaging. Back. Oh lookie! It also has a glue! I couldn't read the package so I didn't know. 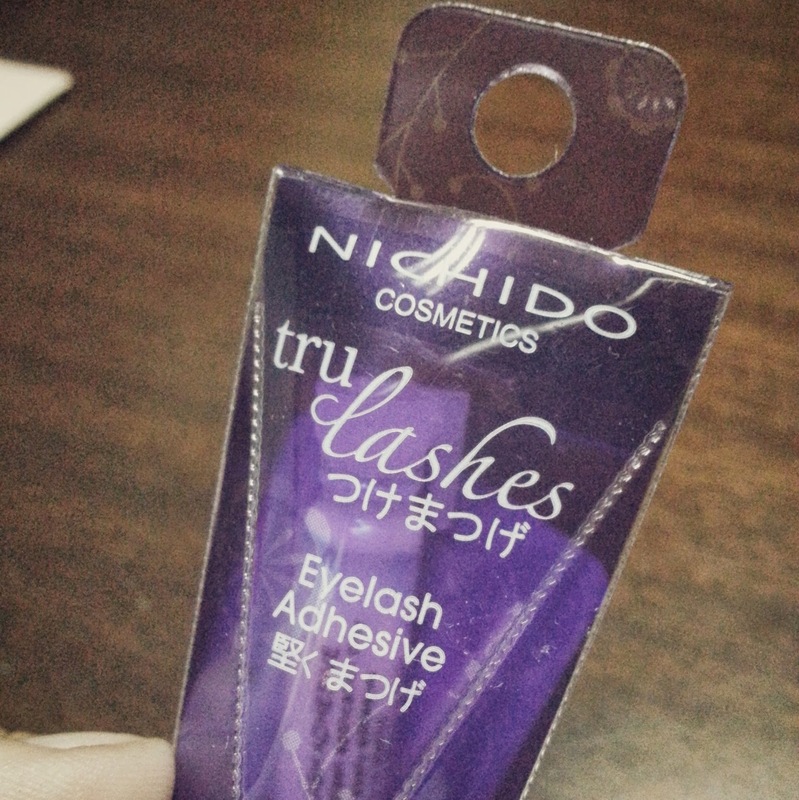 >.< But I usually don't use the included glue whenever you buy a pair so I went ahead and bought eyelash glue from Nichido. 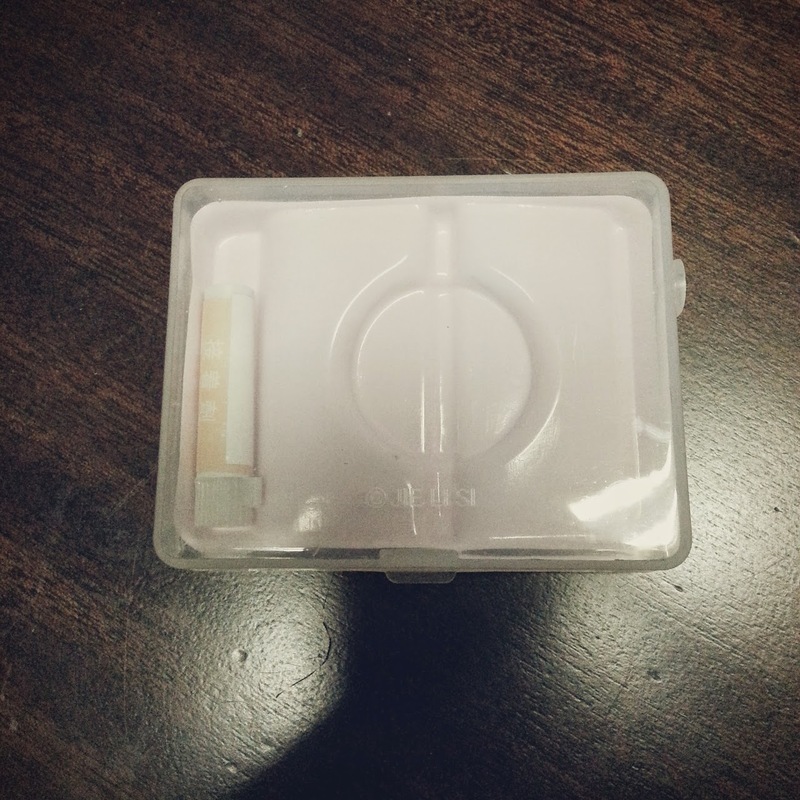 Nichido Eyelash Adhesive is priced at 60php. I've used Duo Eyelash glue (which costs around 350php!) 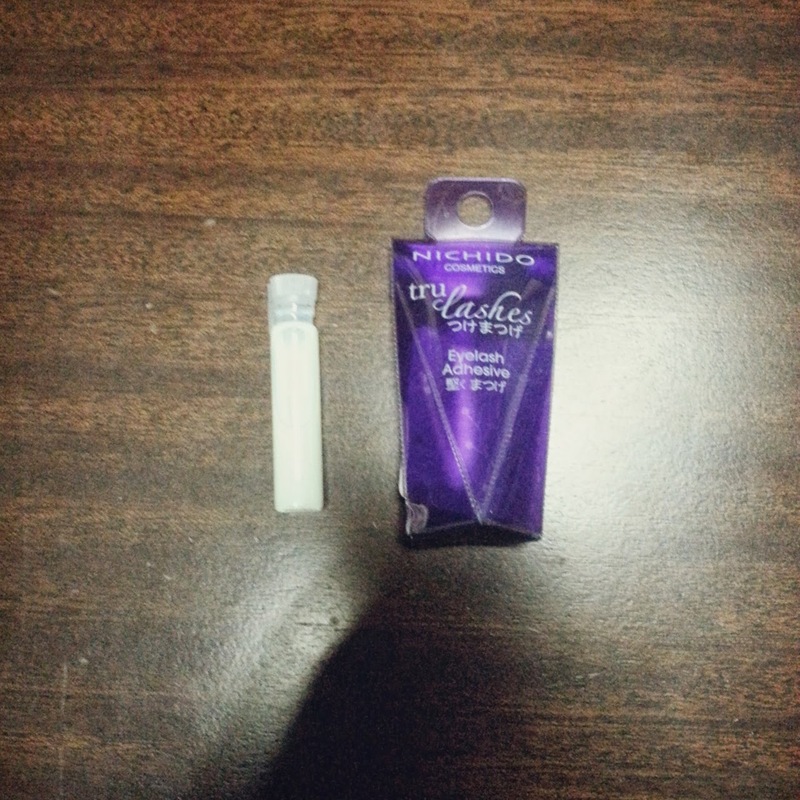 for quite sometime before I went back to Nichido because I find Nichido's eyelash glue more comfortable to use. But of course, everything depends on personal preference and if it reacts well with your skin! Anyway, just wanted to share this quick shop post to you guys for your reference. Hope this helps! 'Till the next post!